On his radio show Wednesday, Rush Limbaugh said leftists in the media and on Twitter rushed to judge the students of Covington Catholic High School because they’re filled with hatred for white people and traditional America. And who are these people on Twitter? They’re anonymous. Nobody knows who they are. They have names, usernames. You can’t tell who they are, and yet they are given weight that is the equivalent to a credible, provable, documented, expert sourcing. And they’re nothing but a bunch of ragtag, unhappy, militant, invisible and anonymous kids in their pajamas and whoever knows — retired professors and so forth — and they’re simply out there. They’re affecting the Academy Award nominations. When I say “they,” we don’t know who “they” are. And they would be anonymous. They would not be relevant to anything if the media hadn’t decided to hype Twitter and to use Twitter as credible source substitution, and the reason is simple: The media has become a left-wing mob on its own. Twitter is a left-wing mob. It’s not hard to find similar left-wing mob opinion and psychology on Twitter. 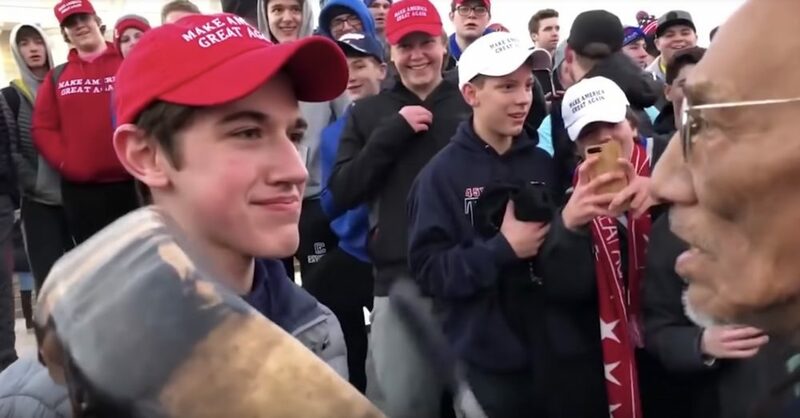 So if you go into a story like the Covington kids story and you see this kid smirking (in your mind) and smiling and wearing a MAGA hat, it triggers everything that you hate. You hate the nuclear family. You hate Christianity’s role and the founding of and the definition of its culture and society. You hate white people. You hate what you think is white privilege. You hate everything that has, for decades, defined normal in America. You hate it. You’re a left-wing journalist, you’re a left-wing activist, you’re a minority, you’re a feminazi. You hate everything that used to be defined as normal in America. Mom and dad, 2.8 kids, picket fence, little dog in the backyard, two cars in the garage, barbecues on Friday and Saturday. You hate that. You hate church on Sunday. You hate Bible study Sunday night. You hate Sunday school on Sunday morning. You hate the Boy Scouts. You hate Little League. You hate anything involving heterosexuality. You hate anything that used to be the definition of normal and well-adjusted and happy and content. You resent all of that because that normalcy is what led to people improving their lives. Those were the people that got hired — those were the people that got promoted — because they were reliable. They were trustworthy. You knew their value base, you trusted it, you wanted it in your organization. So all of that has been under assault in our culture war for over 40 years. And if you want to go back even further, you can say that the civil rights movement was related to it in a way. But it has totally become the objective of the left to overthrow everything that used to be considered normal in America. These kids are the epitome! The Covington kids are the epitome of what used to be normal. They’re smiling. They’re happy. They’re in Washington celebrating life, not abortion. Well, they’re not normal, as it used to be defined in America. So they naturally become the objects of sympathy and support for the media, and the kids become the diabolical enemy because they represent the normal that these other people don’t think they can ever achieve. Really, I don’t think any of this is any more complicated than trying to redefine what normal is in America because of the deep resentment for what was normal. So we now have the media championing a bunch of ragtag Black Israelite, profane protesters doing whatever the hell that isn’t any good for anybody. And then, by the same token, it’s natural that they would side with the minority, the Native Americans, ’cause, after all, before any of what you used to call normal in America could happen, we had to kick the Indians out of their tepees and put ’em on reservations! So we were evil, SOB Europeans, and these kids are the focal point of all this rage and hatred. The objective of the culture war is to render them and their families and their stupid school and their Catholic Church as the racist bigots that we know they are because we resent the hell out of the fact that that’s what used to be normal in America — and it’s never gonna be. We’re gonna redefine, we’re gonna reshape, we’re gonna reorient America so that those people never, ever get to run this place again. They’re gonna learn to find out what it’s like to be a minority, to be pursued, to be this and that. (This is the nature of the culture war that we face.) So in the midst of this, here comes Twitter! A bunch of anonymous, untraceable… We can’t possibly know who these people are. We don’t know what they do. All we do is — if we’re journalists — we come up with a story. We see the kids from the high school, and we immediately hate them. We hate the MAGA hat, we hate everything they stand for — and all we gotta do is go to Twitter and find like-minded hate for a bunch of anonymous dingbats that we don’t even know, and we elevate them to essentially the referees in American society. We elevate them to the people making the value judgment. We don’t even know who they are! Twitter needs to be forgotten or shut down or ignored, because if it isn’t, we’re gonna continue to get — in terms of mainstream media — an entirely bastardized view of what America is and who Americans are. Because I maintain to you that the people on Twitter — anonymous usernames we don’t know, being promoted and cited as source authorities by the Drive-By Media — are not happy, they’re not content, and they’re not focused on doing what’s right or what’s good. 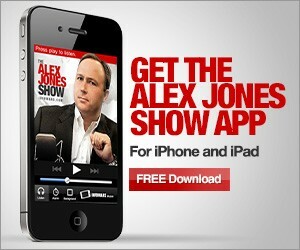 They have a political agenda. They’re part of the left’s army, and that’s why they’re used. But it’s a problem because all the kids want to be on Twitter. It’s how you get famous. It’s how you get likes. It’s how you get follows. It’s how you become a star. It’s how you get audience. It’s how you (sigh) act like somebody big and important when you’re sitting there in three-day-old underwear ’cause the washing machine’s broken down on the back porch.